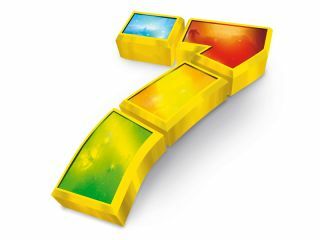 Windows 7 is set apart from the previous batch of Microsoft OS upgrades by many factors. First, it's designed to be compatible with Vista hardware and drivers. This means that, in theory at least, a laptop capable of running Vista comfortably should run Windows 7 just as happily. Second, the public beta was made widely available and lasts up to six months. This gives the testers a long period to help iron out teething issues before the OS's release, instead of users having to wait for important fixes to be sorted in the first service pack. If you took advantage of the beta, it's worth knowing that this was the Ultimate edition of Windows 7. It includes features that may not be present in more basic versions. It seems likely that features such as Offline Files, restricted to the Business and Ultimate versions of Vista, will also be reserved for premium versions of Windows 7. That's unlikely to effect the OS's upgraded mobile features, though, which make Windows 7 more notebook-friendly. For example, the Windows Mobility Center – which enables you to turn on presentation mode, synchronise files or change power schemes – was present in Vista, but it's much easier to find and access in Windows 7. All you need to do is right-click the Network icon in the System Tray and select 'Windows Mobility Center'. Likewise, clicking the Battery icon enables you to change preset power schemes or move directly to editing the options indepth. These are everyday tasks, so it's good that they aren't hidden away. Power management on the whole is better than in previous versions of Windows. On a simple level, the faster boot time means that you're spending more battery life working than waiting for your laptop to start up. However, there's also smarter power management happening in the background that employs several tricks to squeeze a little more juice from your battery. The processor gets stood down more frequently when not in use, as does the network adaptor. This alone could make the upgrade worthwhile, especially if you spend a lot of time running on battery power – try weighing up the eventual retail price of Windows 7 with that of a new laptop battery. As in Vista, if battery time is crucial, you can also save some more energy by choosing a non-Aero theme. Wireless network management is now simpler, too. All you need to do is click on the wireless icon in the System Tray to see a list of available networks. You can quickly refresh this list and join one of the available networks with a single click if you've previously provided the passkey – handy if you spend a lot of your time moving between hotspots. It's also worth mentioning the Taskbar improvements. You can pin any program you like to the Taskbar to launch it quickly, which is ideal for oft-used favourites. The Aero Peek feature extends window thumbnails to individual previews of stacked applications, which is useful for de-cluttering a crowded work space. The overall picture is really one of small improvements that add up to create a worthwhile upgrade. At first glance, Windows 7 doesn't look and feel much different to Vista, but the simple logistical improvements and enhanced efficiency make it well worth taking the plunge when upgrading your laptop.